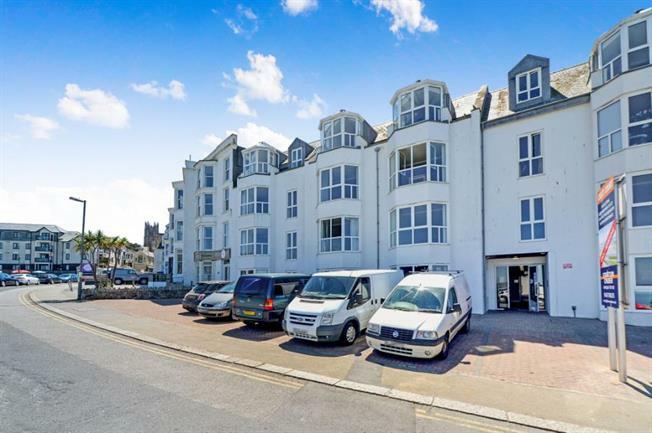 1 Bedroom Flat For Sale in Newquay for Asking Price £150,000. Doors into cupboard and shower/cloakroom, open onto kitchen area. UPVC double glazed window to front with sea views over Towan Beach. Incorporating over size shower cubicle with glazed sliding door, wash hand basin, and low level WC. Centrally heated ladder style towel rail. Extractor fan.